Relaxing outside and enjoying the weather is great, but what if things get a little too hot? With our insulated roof panels those concerns will be a thing of the past. You can be perfectly protected from the heat, and with our waterproof designs, you’ll also be comfortable when the weather turns. Rain or shine, our insulated roof options have got you covered! 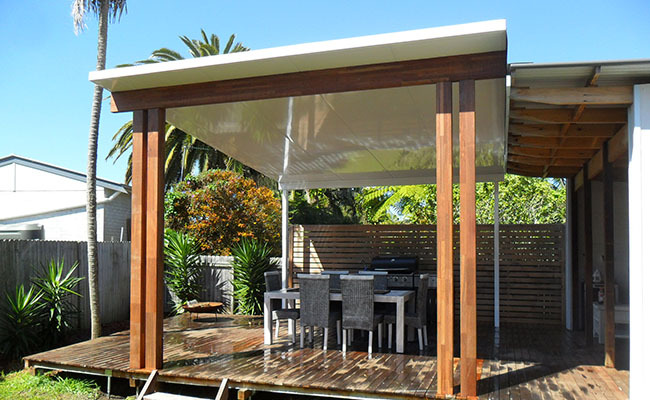 There are a number of benefits to insulated patio roofs, though the most obvious is to combat the harsh summer sun and cold winter temperatures of the Central Coast. Providing comfort all year round you can maximise your outdoor space, using it at your leisure and not when the weather dictates. 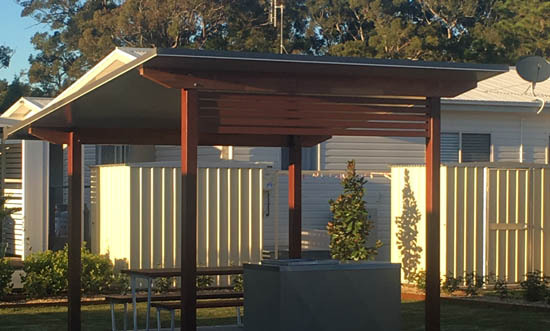 As a comfortable space for relaxing or entertaining, an insulated pergola roof covers your patio and opens up its potential at the same time. Beyond keeping you cool in the summer, our insulated patio roofs also reduce the noise from rain with a low maintenance and durable construction that will last for years. Outside of the weather benefits, insulated roofing reduces your energy costs and carbon footprint all while increasing the value of your property! 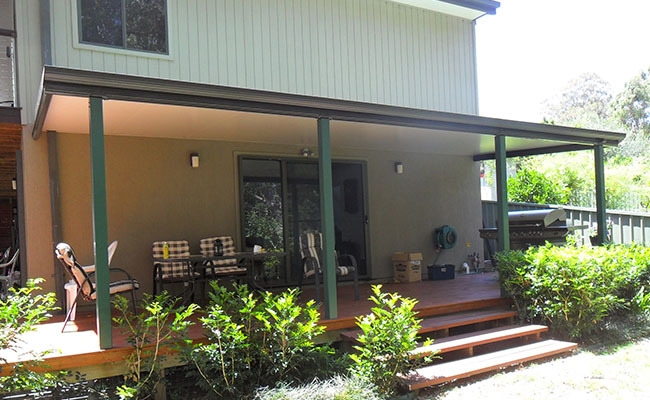 If you’re after quality insulated patio roof panels on the Central Coast, then look no further. 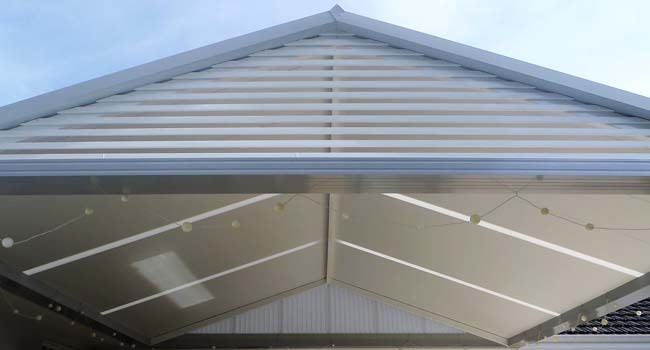 We have a range of options available, with a fire-retardant core all the way from 50 - 150mm thick giving you extra safety and peace of mind, and a top roof sheet profile of corrugated and trim deck - not to mention optional lighting and fan accessories. 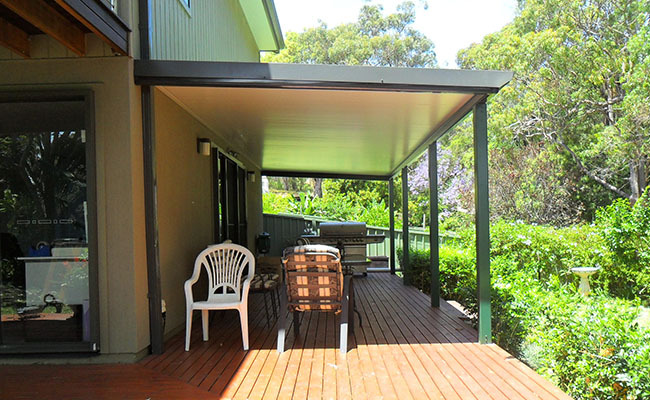 Our experienced team of professionals at Patios Coast2Coast are the experts in insulated patio roofs on the Central Coast and will help you choose the perfect insulated patio roof to suit the style of your home. Creating a seamless extension of your existing house to produce a new area with undeniable ‘WOW’ factor.